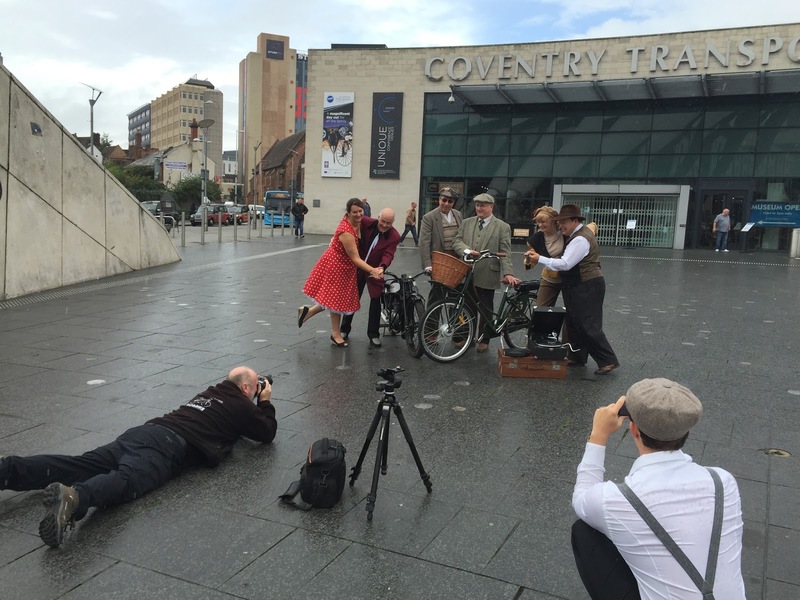 Today we have been to Coventry, the home of the Francis-Barnett brand. 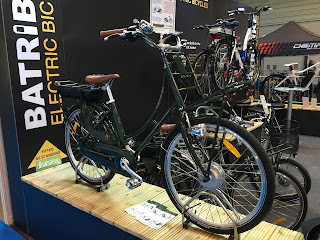 We were at the Coventry Transport Museum for the press launch of the Francis-Barnett classic electric bikes. Yesterday the weather forecast was pretty grim, however the sun was out as we travelled there this morning, but it soon turned overcast. 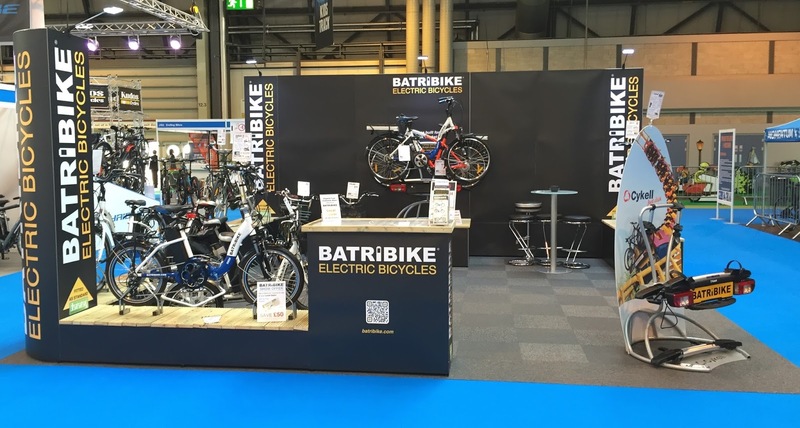 Batribike was delighted to be promoting the launch alongside Andrew Longfield the present owner of the Francis-Barnett brand. Andrew was at the museum when we arrived. He had brought along both a vintage and a more modern but retro styled motorcycle from the brand to complement the new classic electric bikes. We were able to set up some great shots of the bikes straight away. It was fantastic to have the participants wearing vintage style clothing and to have the support of jitterbug dancers who did an impromptu hop to the sounds of the vintage record player. Unfortunately before we finished the rain put in an unwelcome appearance, but with the help of the odd umbrella spirits stayed high for the live interview for BBC radio Coventry and Warwickshire. 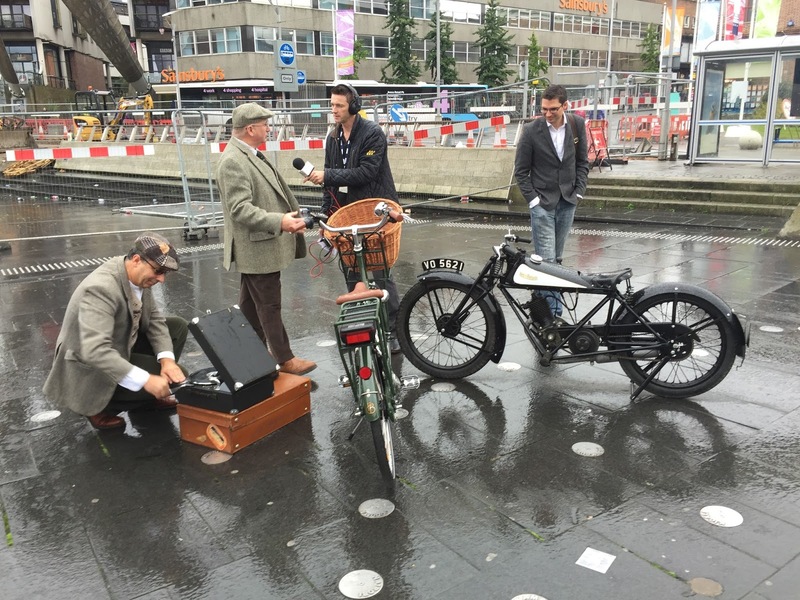 The presenter also filmed some footage of the bikes in action. We adjourned to the inside of the museum when all the press photos had been taken. What a fabulous collection and display of cycles and transport the museum has, a free resource for the people of Coventry. The museum has a Francis-Barnett autocycle on display and we were able to stand the new vintage style electric bikes alongside for another photo. I am delighted to say that after all that work we finished the morning in the museum café for coffee and cake. Certainly an outing to remember! 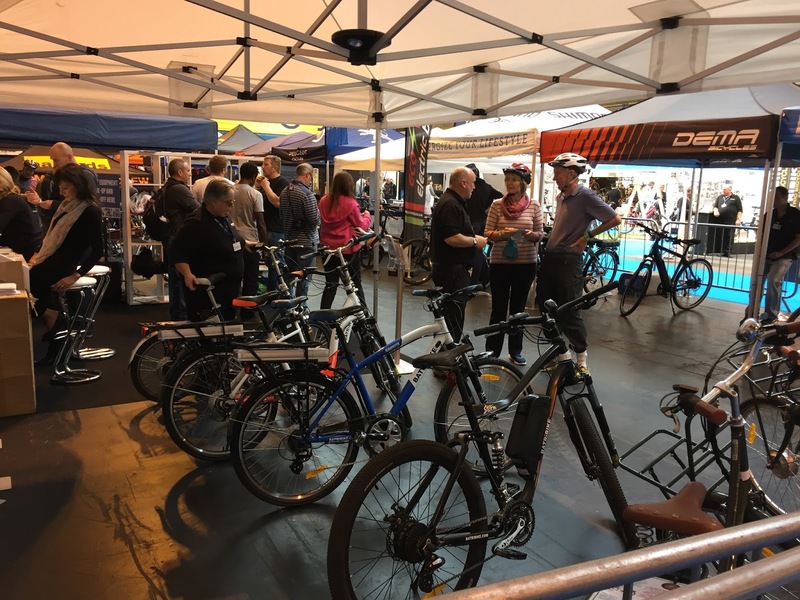 Meeting everyone is a very important part of the Cycle Show and what a busy time we all had! We take everything we need to build our stand, even down to the carpet tiles for the floor. We are quite precious about the stand and want it to display our bikes to the best advantage. 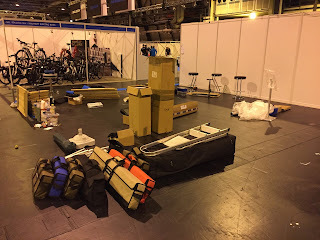 We had the stand all set and ready by the end of Wednesday. 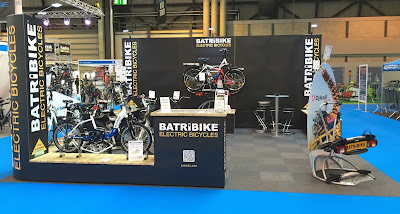 Thursday is trade and press day and it was great to see so many Batribike stockists on our stand and to be able to show them the new Francis-Barnett vintage style classic electric bikes. 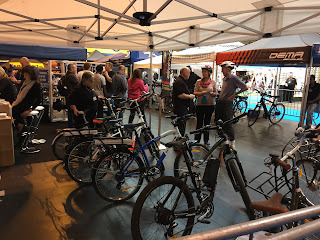 Friday, Saturday and Sunday were public open days and once again we were very busy talking about the bikes and demonstrating the Cykell towball mounted bike carrier. The test ride area was absolutely crammed with over 100 electric bikes to try on the outside track that had a purpose built up-and-down ramp. 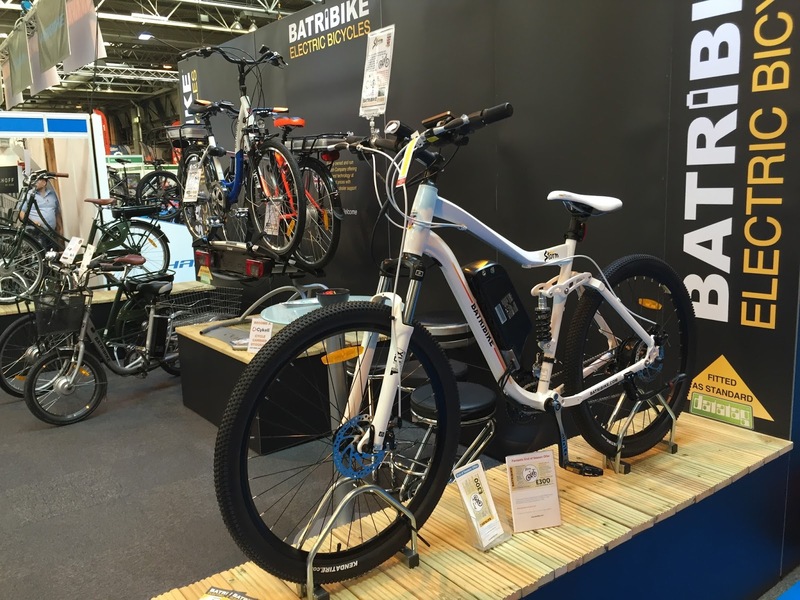 With so much choice for customers we were delighted with the response to the Batribike range. Many riders came back to have another go on the Storm saying that it beat the competition hands down. We keep a check on how far the demo bikes have been ridden over the four days of the show. The test track is quite short so it takes a lot of rides to build up the miles. The top ride was no surprise – it was the Storm with a total of 54 miles! The next highest was another crossbar bike, the Granite, with 29 miles. This year we had two step-through Diamonds to try and they did 27 and 10 miles each. The Francis-Barnett classic electric bikes did a total of 33 miles. Putting all the Batribike and Francis-Barnett bikes together the total for the show was 172 miles. That’s the same as cycling from the show at the NEC in Birmingham to Brighton or Carlisle, or Plymouth or Gateshead, phew! It puts it into context – it’s a really long way. All too soon it was time to pack the stand down, it is surprising how soon the show turns back into a big empty hall. It won’t be long until we are back again for the Motorhome and Caravan Show on the 13th October.